This package is available to radio stations and individual producers. Get the package as a buyout tailored to your usage requirements - contact us for a great deal. ID_2 Essentials Complete contains every single FX cut from ID_2 TOTAL plus the incredible brand new cuts from ID_2 Essentials Extra. It's the whole Essentials Series in one vast package  more than 370 multi-FX cuts, over 50 tracks of killer beats and grooves and more than 30 impacts. A total of 450 next generation, high-end cuts available as a buyout. ID_2 Essentials Complete is the new key to making you sound amazing: the ultimate production toolkit designed to help you create world class imaging, idents, jingles and promos. It's powerful and flexible enough to easily and quickly produce incredible new imaging from scratch or to pump up your existing station sound to the next level. 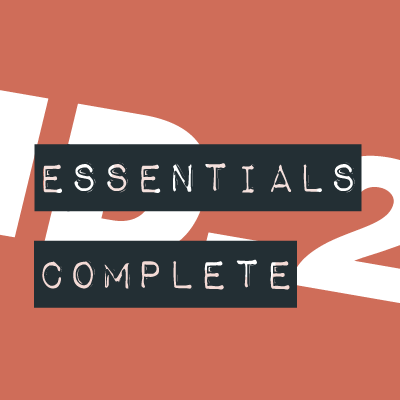 ID_2 Essentials Complete is now available to purchase and download in high quality 24 bit WAV. Just get in touch with us with your details we'll get straight back to you with a price tailored to your station and usage.